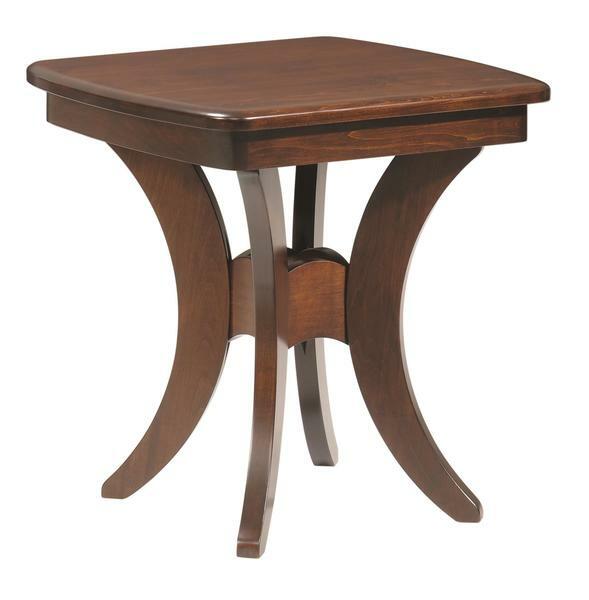 The Amish Bristol Cross End Table does away with squared corners to add in slight curves for a stand out accent table. The Bristol has a classic look with modern elements, updating your living room or family room with a solid wood table built to serve. The Bristol is built by Amish craftsmen with the solid wood you choose. Accentuate the style of the room while adding a convenient spot for resting reading materials, remotes and phones. Amish furniture offers you choices. We invite you to get in touch with any questions about your favorite wood types, the building process or shipping questions. Our team of devoted Furniture Specialists is here to help you. We can be reached by phone or email, whatever works best for you. Thank you for shopping with DutchCrafters.